This is a Puzzle that went viral on WhatsApp and other social media sites. The puzzle is posted here for you to help you find or solve the answer, so that you can share it with your friends. The answer can be found at the bottom of this post. 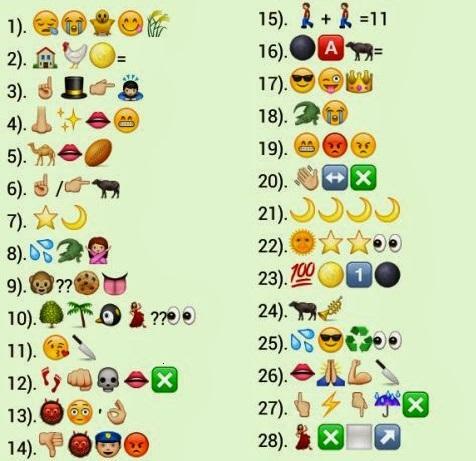 Guess the Hindi Muhawara from the following whatsapp Emoticons ? ab bachtae hot kya jab chidiya chug gai khet. You can search for the required puzzle or keyword to check and get the answer for that. Share it and challenge your friends in WhatsApp, Facebook, Google Plus and other social networking sites.